In the world of wrestling, appearance matters a lot. But so does a good name. So I've decided to go through my mental notes and pull out some of the coolest nick names in all of wrestling. I'm just going from what pops into my head, so if I've forgotten someone, please be sure to comment here or on Facebook or Twitter. You'll notice most of my choices are from the good ol' days. Maybe I'm nostalgic, or maybe things really were better then. 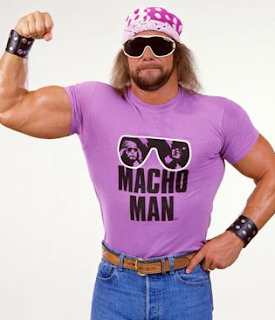 "Macho Man" Randy Savage just had a cool name in general. Especially when you consider his real name was Randy Poffo. No offense to Leapin' Lanny or Angelo, but Randy had the right idea when he changed his name. Savage just made him sound like a tough guy. And despite the association of the Village People with the name Macho Man, Savage made it work. I can still remember when I was a kid there was a WWF Magazine article written shortly after he signed with the company. The title was "Randy Savage: More Savage Than Macho." I think that really summed him up well. Even when he became the King of the Ring, he was dubbed "The Macho King" and stopped wearing a crown and instead started sporting those stylish cowboy hats. Since his death back in the spring, I've developed a greater appreciation for Randy Savage. His style, his wardrobe, his music. They are all missed and have yet to be duplicated in today's business. That's a good thing though. It's important for today's generation to create that persona, that character that stands out. I've enjoyed CM Punk's recent tributes to Savage. He truly was one of a kind. 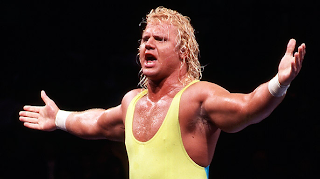 Before he headed to the WWF in 1988, Curt Hennig was pretty much plain vanilla ice cream. At least he was to me. But then with a little magic from Titan Towers, he became Mr. Perfect, a role he was born to play. When he left the AWA, Hennig was a heel. He was cocky and arrogant, but nothing at all like the Mr. Perfect persona. Pairing him up with Bobby "the Brain" Heenan about a year and a half into his time in the WWF was, well perfect. These two were great together, and I totally believe had today's attitudes and busy schedule applied back then, Mr. Perfect would have been WWF heavyweight champion. He is one of the all time greats to hold the Intercontinental title. I know his son, Joe (Michael McGillicutty) is probably living with a lot of pressure to live up to his famous father's reputation. I saw give him time to create a niche and become his own man. Who knows what the future will hold. I never imagined the AWA version of Curt would be as successful and popular as Mr. Perfect ended up becoming. 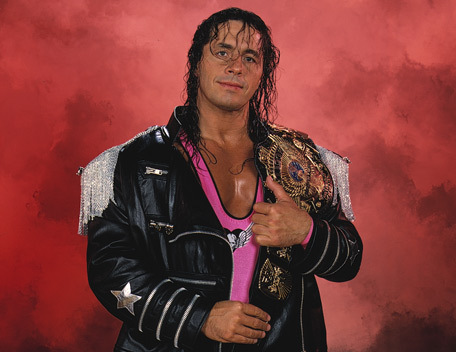 Excellence of Execution wasn't really his nickname, but it was a subtitle for Bret "the Hitman" Hart. To this day, he's still referred to as the "best there is, the best there was, the best there ever will be!" The Hitman also lived up to that excellence of execution moniker. I'm not 100% sure, but I think Gorilla Monsoon may have been the one to coin that phrase to describe Bret. In my opinion, he is among the top 5 wrestlers of all time. I don't see him slipping out of that rank for quite sometime. 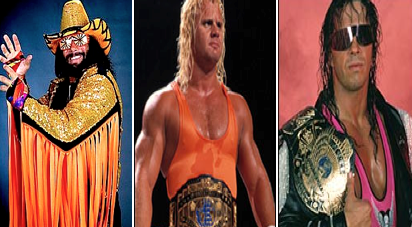 His work has stood the test of time, from his early days in Stampede, through is tremendous rise in the WWF and then in WCW. These are just a few nicknames that popped into my head on this particular night. Like the list? Hate it? Let me know.